Located in the southern region of the United States, Oklahoma is home to over 3.8 million residents which ranked them 28th in the nation. Sitting on the northern border of Texas and west of the midwestern states along the Mississippi River, Oklahoma is ranked 20th in area and 35th in state density. The capital and largest city/metro area is Oklahoma City and is home to many Native Americans. 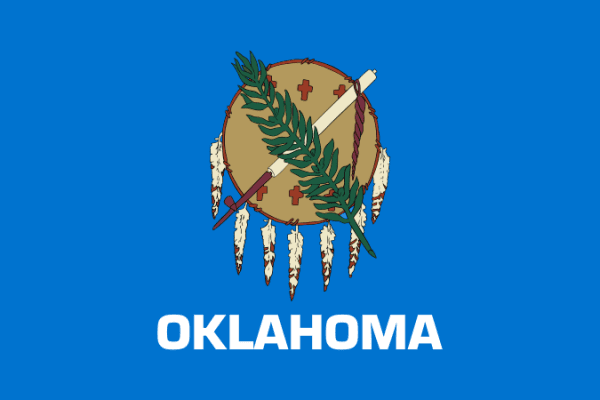 The word “okla-homa” is derived from the Choctaw Native words for red people signaling the large population of Native Americans that were settled in this region centuries ago. The state was entered into the union in 1907 as the 46th state. With a small amount of elevated hills, the state is mainly made up of prairies and plans. The state is known for the severe weather related to tornados. If you are searching the Oklahoma region for scrap prices, the iScrap App can help. With many scrap yards listed, you can find current scrap prices listed in the area. Scrap yard customers have the ability to use the iScrap App to report their current scrap prices on the website. For items like steel, copper, and brass it is helpful to keep track of how the scrap prices change with the markets. The state of Oklahoma has a wide variety of industries that make up the economy throughout the “Sooner” state. Many industries can be traced back to the importance of scrap metal recycling in the region, like aviation, transportation equipment, electronics, and telecommunications. From metals like wire, cable, copper, steel, stainless steel, and aluminum there are many opportunities for people in the areas like Oklahoma City and Tulsa to find scrap yards in Oklahoma on the iScrap App. You can search the app for locations in your area throughout the state and also view the map for information on all of the locations in the state. Once you located the salvage or junk yards that you want more information about current scrap prices, containers for pickups, auto parts for repair, and scrap car pickups.